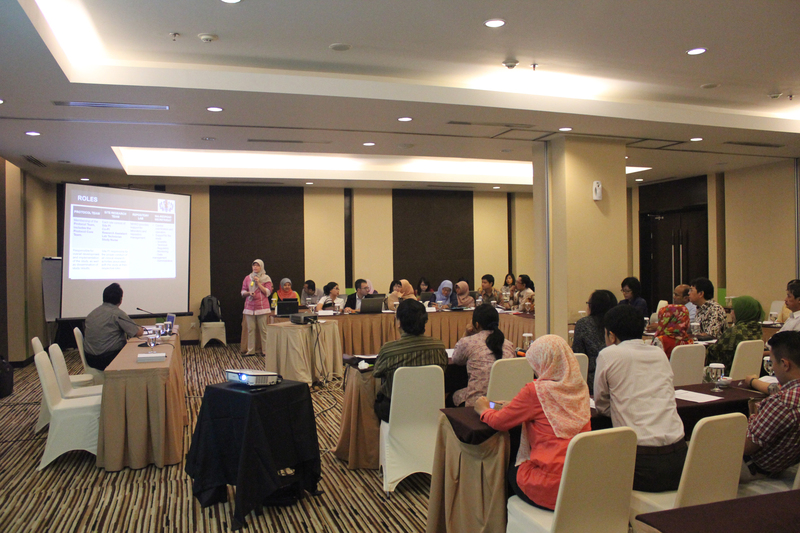 BANDUNG – The INA-RESPOND Network Steering Committee (NSC) meeting was successfully held on October 22 – 23, 2014 in Bandung. Except for a couple of SC members who could not make it, all SC members gathered at Gedung Fakultas Kedokteran Universitas Padjajaran, Bandung to discuss important issues related to the network’s studies and the future of the network. A network as big as INA-RESPOND surely has its own challenges. However, with good communication and openness, there is nothing the network cannot resolve. The National Institute of Health Research and Development (Badan Litbangkes RI) is going to hold a meeting with the Ministry of Foreign Affairs, Republic of Indonesia to talk about the INA-RESPOND network. We are hoping that through this meeting, INA-RESPOND activities will gain more support from other departments and ministries. Aside from the AFIRE site PIs, one Research Assistant from each site is also invited to give and share his / her findings. They also participated in the “INA101 Data Introduction and Analysis” training, organized by the Data Management department of INA-RESPOND Secretariat. Next NSC Meeting will be held in February 2015 after the AFIRE interim analysis meeting, which will be held in January 2015.